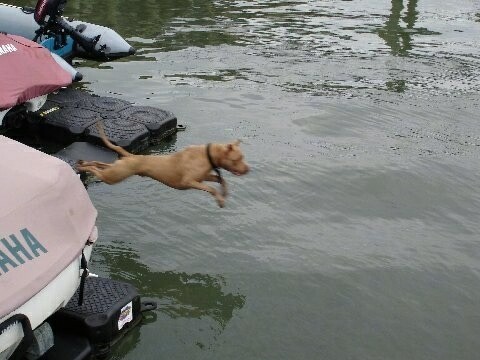 "This 2-year-old Pit Bull named Dro will run full speed and jump in off the dock after anything thrown in the water. 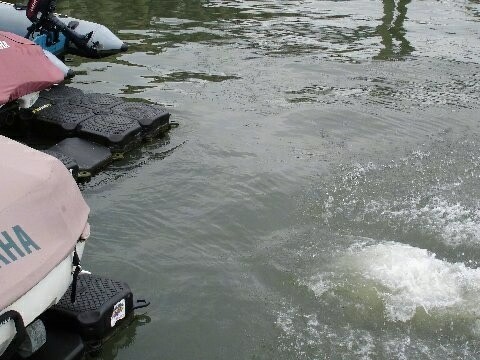 If you get caught in the current of the bay, you can count on him to swim to you and pull you to the swim ladder every time! 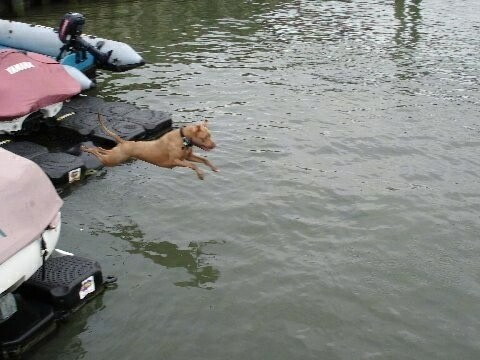 If you throw something that sinks he dives under the water for it. 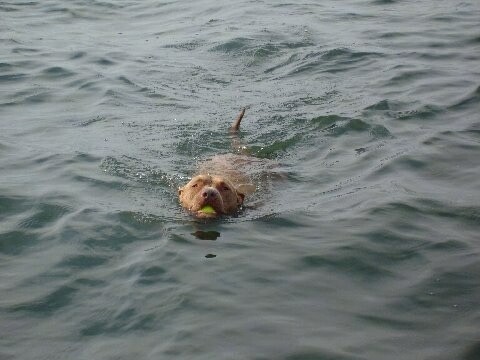 He also catches a Frisbee. He is a great dog and truly man's best friend!" 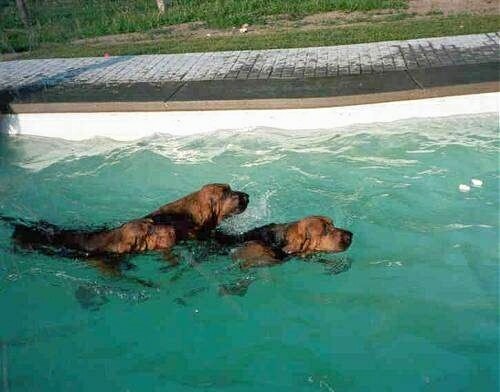 Also known as Radar, Cash and Rocketman, these three Bloodhounds have a passion for swimming. Their owner, Rita Payne, says "Our boys love it! It's what they live for when they see that winter cover come off." 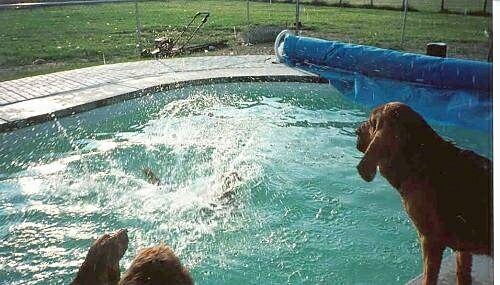 Radar flying into the pool as Rocketman watches. 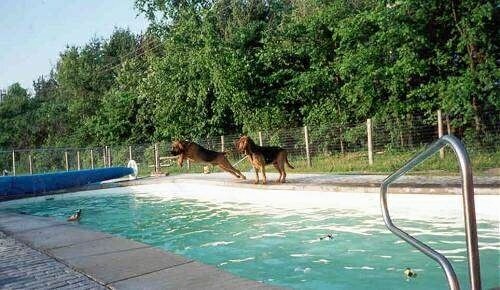 Rocketman splashes into the pool as Radar and Cash watch.